SRS Labs , the industry leader in surround sound, audio enhancement, and voice post-processing technologies, presents MyTunes Pro – the free app that makes your music sound better than you’ve ever heard from your iPhone! By combining your music with SRS Labs patented technology used in in over 2 billion devices, My Tunes Pro makes your iPhone music unbelievably better. Once you’ve downloaded the app, all of the technology is automatically activated, so all you need to do is to press play and enjoy! MyTunes Pro features SRS WOW HD Processing, meaning that the app restores the natural tonality and spatial characteristics of recorded audio. This makes music sound as if you’re is in the same room as the artist. The app also offers users complete personalization of audio playback with the fully adjustable 10-band EQ or a simple 3-knob tone control. With MyTunes Pro you can normalize the volume as the app utilizes SRS’ award-winning TruVolume technology to maintain a consistent listening volume regardless of the music played. 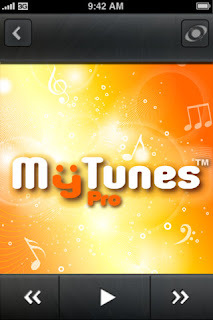 • Special driving mode: Optimizes the GUI for ease of use and minimal distraction (MyTunes Pro only) and more. MyTunes Pro for iPhone and MyTunes Pro HD for iPad can both be downloaded for FREE from the iTunes App Store. You can enjoy this fully functioning music player to listen your iPhone music library if your device runs iOS 4.0 or later. Do not miss the chance to listen to your audio come alive!